The Seahawks return home to start the second half of the season as they host the Tampa Bay Buccaneers on Sunday afternoon. After escaping St. Louis with a win the Seahawks currently hold a 7-1 record and have a one game lead on the San Francisco 49ers for first place in the NFC West. The Tampa Bay Buccaneers stumble into Seattle with more than 99 problems, if you know what I mean. The Buccaneers are 0-7, the seat head coach Greg Schiano is sitting on is white-hot, and on the field the Buccaneers have looked more like the Tampa Bay “Yuckaneers” of the 1970’s, 1980’s, and early 1990’s. 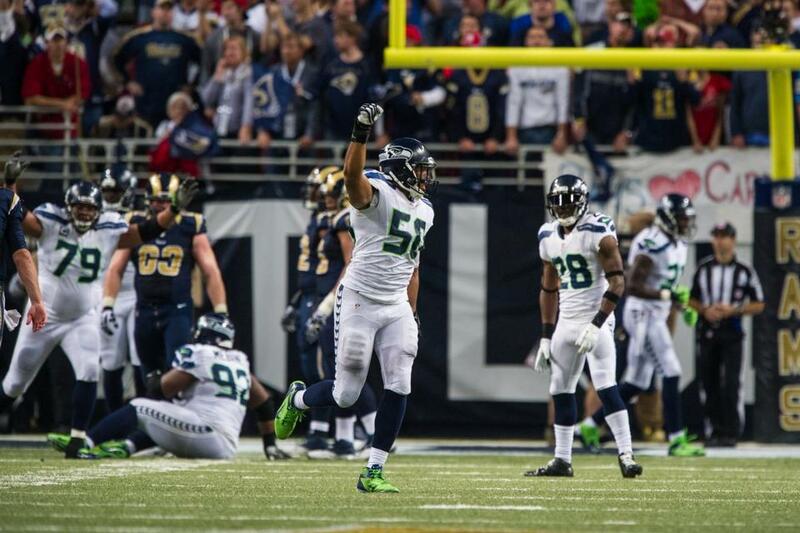 The Seahawks lead the all-time series with Tampa Bay 7-4. In their last meeting in 2009, a terrible 2-win Buccaneers team came into Seattle and crushed the unraveling Seahawks 24-7. Once again the Seahawks are heavily favored and practically no one is giving Tampa Bay a chance to win this game. Remember though most people also gave the St. Louis Rams no chance of winning last week and they were one yard away from winning. Here is what the Seahawks must do to avoid a colossal upset and what to know about the Buccaneers. It’s obvious that a big key on offense this week is to better pass-protect quarterback Russell Wilson so I will spare my obvious analysis of this point. With the loss of Sidney Rice for the rest of the season to a torn ACL and the absence of Percy Harvin for at least one more week, the Seahawks will have to search for a new way to move the ball through the air this week. This will be that much more important because Tampa Bay allows only 95 rushing yards per game; 7th best in the NFL. 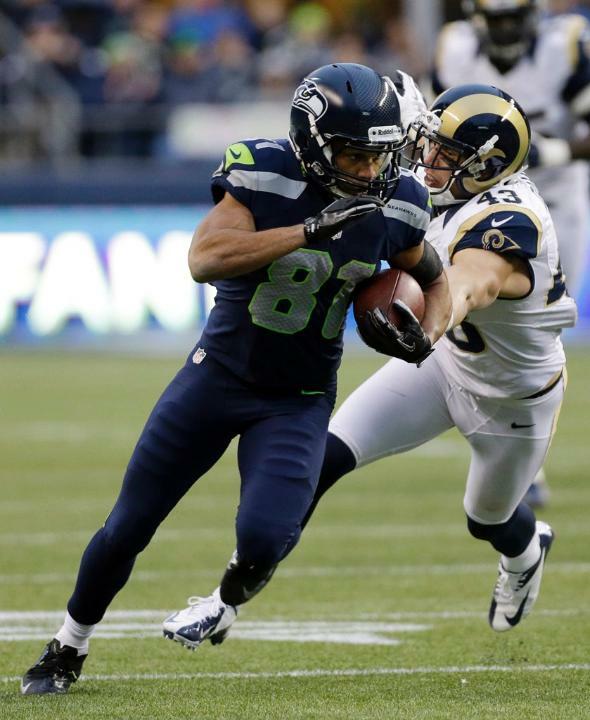 Golden Tate and Doug Baldwin will be our primary receivers and Jermaine Kearse will have a more prominent role in the offense against Tampa Bay. 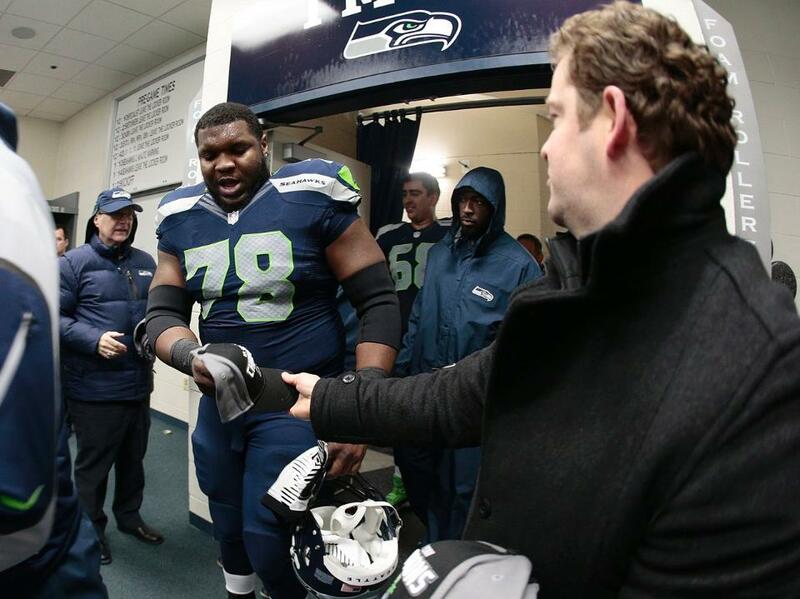 Kearse could have a big impact because of his height. Although Tate can be a play-maker on the outside the Seahawks need a guy with great vertical range who can jump up and get passes. Baldwin will ideally be used out of the slot meaning Kearse will line up opposite Tate for the majority of the snaps he sees. I do not expect recently activated wide receiver Ricardo Lockette to see much playing time at all, if any. If the Buccaneers can do a good job of staying with their receivers down the field, Wilson and the Seahawks offense will be forced to use screen passes to move the ball through the air. Look for Zach Miller and Luke Willson to potentially make a big impact in the short passing game. On defense, the game we must play this week is “confuse the rookie.” The quarterback of the Buccaneers is rookie 3rd round pick Mike Glennon, the man who replaced Russell Wilson at North Carolina State after Wilson transferred to Wisconsin. Glennon took over for Josh Freeman who was traded to the Minnesota Vikings earlier this season. One of the biggest confidence boosters from my perspective is the thought of a rookie quarterback coming into CenturyLink Field to play his first game here. With our defense and the crowd noise, first timers playing Seattle tend to struggle more than in their previous games. 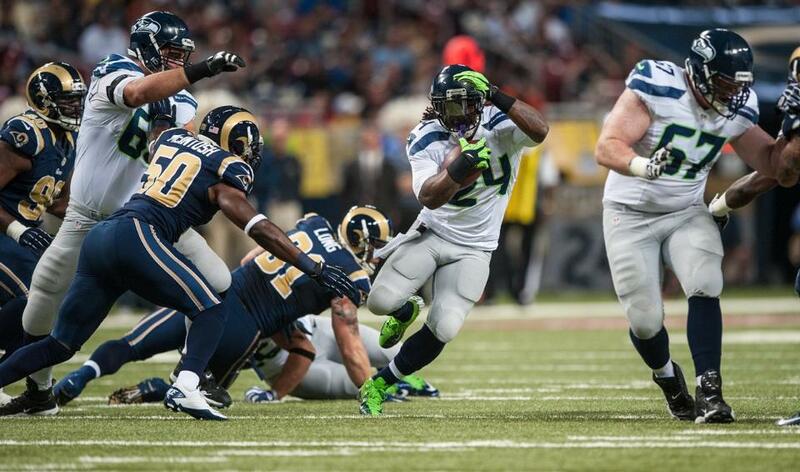 Look for the Seahawks to blitz more than they did last week. Heavy blitzes resulted in 7 sacks of Carson Palmer two weeks ago but Kellen Clemens was only sacked 3 times last week. Dialing up extra blitz packages this week and sending a wide array of pass-rushers on different plays will result in an increase in sack production and may confuse Glennon to make bad decisions. Forcing turnovers could be the determining factor in the outcome of this game. If the Seahawks can strip the ball and force interceptions, we will win this game no doubt about it (as long, of course, as the offense can turn those turnovers into points). With a rookie quarterback in Mike Glennon, a back-up running back in Mike James, and a coach that is on the verge of completely losing the locker room, I believe that the Buccaneers offense is a complete mess coming into this game. The Buccaneers average only 14 points per game. It will be terribly difficult to score points on Seattle this week, especially since the Seahawks have not allowed a touchdown for two weeks. The only way Tampa Bay has a realistic chance of winning this game will be because of a dominant performance by their defense. On paper the Buccaneers have lots of talent on defense. Linebacker Lavonte David leads Tampa Bay in tackles and sacks while defensive tackle Gerald McCoy has recorded two sacks of his own. Before the season started it was highlighted that this game would feature the two best cornerbacks in the league as Richard Sherman and Darrelle Revis would share the same field in this game. Sherman has maintained his title as one of the best cornerbacks in the league but Revis has slipped slightly. Revis leads all Tampa Bay defenders in passes defensed with 6 but he has only recorded one interception. My X-Factor player to watch for Tampa Bay this week is linebacker Mason Foster. Foster, from the University of Washington, Has done a little of everything on defense this year, making him a player that definitely warrants an offenses undivided attention on every play. Foster is 4th in tackles on Tampa Bay’s defense with 42, he has recorded 2 sacks and he can also drop back into coverage, which was highlighted in week 2 when he intercepted a pass and returned it 85 yards for a touchdown. 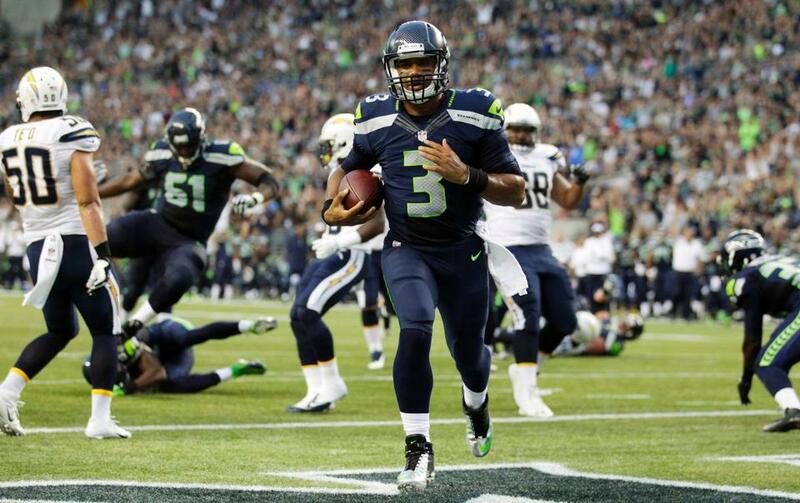 Random Thoughts: Blue jerseys and blue pants for the Seahawks this week. The Buccaneers will most likely wear their unique (or weird looking depending on who you talk to) bronze colored pants with their white jerseys… Kenny Albert and Daryl “Moose” Johnston have the call for FOX this week with Tony Siragusa reporting from the sidelines. Is it possible that because the Seahawks have such an impressive record we have been rewarded by no longer being subjected to play-by-play and commentary from Chris Myers and Tim Ryan?! Hopefully so since they have only broadcasted two of our games this year, the last one coming in week 4… Mike Carey is the referee this week. Carey is my favorite referee in the league although his crew has made some questionable calls against the Seahawks the past couple of years. The reason why I like Carey so much is his intense pointing when announcing penalties and the way he rolls his hands when he states what down it will be following said penalties… To everyone attending this week’s game remember it is a 1:05 start NOT a 1:25 start. Like I always say that 20 minute span makes all the difference. I recommend you make sure you are at your seats by 12:50 at the latest; at least 15 minutes early… For the first time this season I will not have an issue with the warmth and the weather. No doubt a sweatshirt, jeans, and perhaps a knit hat will be necessary this week to keep warm… Hawks Nest Bar and Grill pregame. Be there… The Seahawks will be honoring the 30th anniversary of the 1983 Seahawks; the first Seahawks team to make the playoffs. That season the Seahawks went 12-4 and advanced all the way to the AFC Championship game. If it turns out to be a halftime ceremony it will surely be one to remember. Let’s get out of this game healthy and with a win to get to 8-1. Come on boys! Prediction: The Seahawks offense will improve from last week but will not handle the Buccaneers like most people think they should (think the Cardinals game last December). There will be a lot of field goals in this game, which is good for me since Steven Hauschka is my fantasy football kicker. The Seahawks defense will play a very good game sacking Mike Glennon 5 times and recording 2 interceptions; one from Richard Sherman and one by K.J. Wright. The Seahawks will get to 8-1 with a big road test against the Atlanta Falcons looming next week. 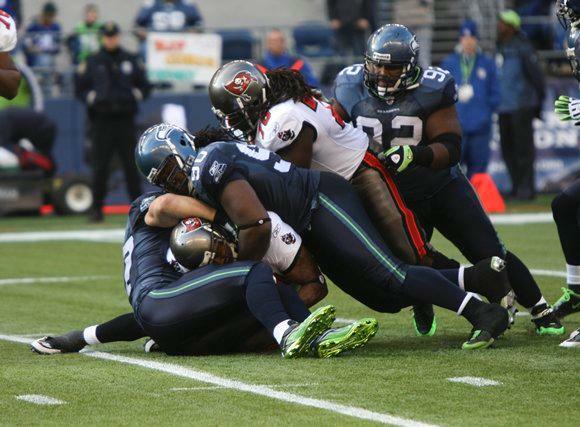 Look for my review of the Buccaneers/Seahawks game late Sunday night or in the wee hours of Monday morning. Enjoy the game everyone. Go Hawks!